Another Summer season is about to pass and in comes the Fall. This means it is time to switch are lawn care focus in another direction. Many people dread having to do the fall lawn cleanup because it is downright tedious. But is needed to keep your lawn in shape. Fall cleanup has a few advantages to a healthy lawn next season. The one important thing it will help with is the start of preventing mold, bacterias, diseases and bug problems in your lawn or garden before it starts. By cleaning up you are removing the organic matter that can harvest some of your lawn problems next year. You can start by removing all the dead or diseased limbs and branches from your property. Especially around the home. Winter storms will have them all over your yard and possibly do damage to your roof if close enough to the home. Your gutters are another area to focus on. If leaves pile up in them and die, the mixture of rain can cause your gutters to clog up, holding mold and mildews in your gutter system. So it would be wise to clean those out as well. The leaves that fall to the ground is a no-brainer. You want to harvest those up and not leave them lying around in your yard underneath the winter elements. But it is wise to wait until they have all just about fallen so you won’t find yourself picking them up more than you should. It is cooler so your lawn should slow down on growing. But this is when you should be lowering your cutting blades down. It would be wise to cut your type of grass down to its lowest cut height. Click Here for cut height information. The Fall also is a good time to dethatch your lawn which will remove all the dead grass and other dead organics in your lawn. This will help prevent thatch buildup next season that will have an effect on how well your lawn absorbs water. Your grassroots will thank you. Fertilizing is another thing as well. Nitrogen is key to your lawn so fertilizing will help your soil get ready for the next Spring giving your lawn a fighting chance to recover. Click Here for more information on fertilizing. I always like to include a video of the topic to emphasize the importance of an article. Watch below. I always say the key to a good looking yard is upkeep. You help it out with maintenance and it will reward you with one of the best looking yards on your block. So don’t hesitate to clean up your yard this Fall. 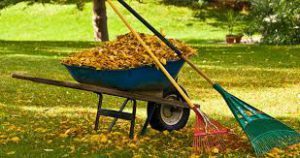 If you need leaf cleanup do not hesitate to give us a call and we would love to help you remove them from your property. I hope you enjoyed the article and if you have any questions or comments there is a comments section below. We love comments here. 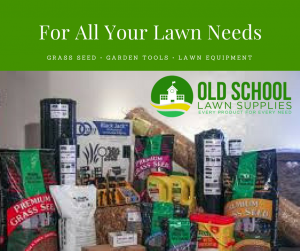 Thank you so much for visiting Old School Lawn Service’s website.